I wish I had taken a before shot, but you’ll just have to trust me that it is a huge improvement. My mum was delighted, and I really enjoyed the process – it was genuinely nice to do something ‘useful’ with my hobby! I also finished up my Wraithguard, but I forgot to take a photo (duh!). For those that can’t remember, here’s the WiP. Since then, I have fixed the left leg so that he’s striding rather than trotting into battle, and I added a loincloth and textured up the head. I really like this guy – more so that the Scorpions above, so I might include him in the warband instead… He’s big enough to count for two regular Henchmen I think… We’ll see how I feel after painting. At first I didn’t know what you were rabbiting on about hehe 😉 Very nice Hares mate. 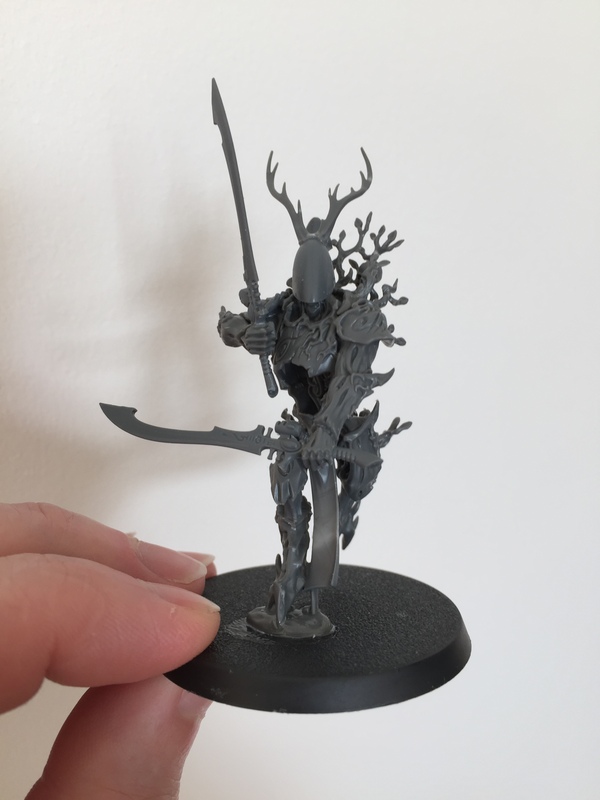 The Warband has really taken shape. 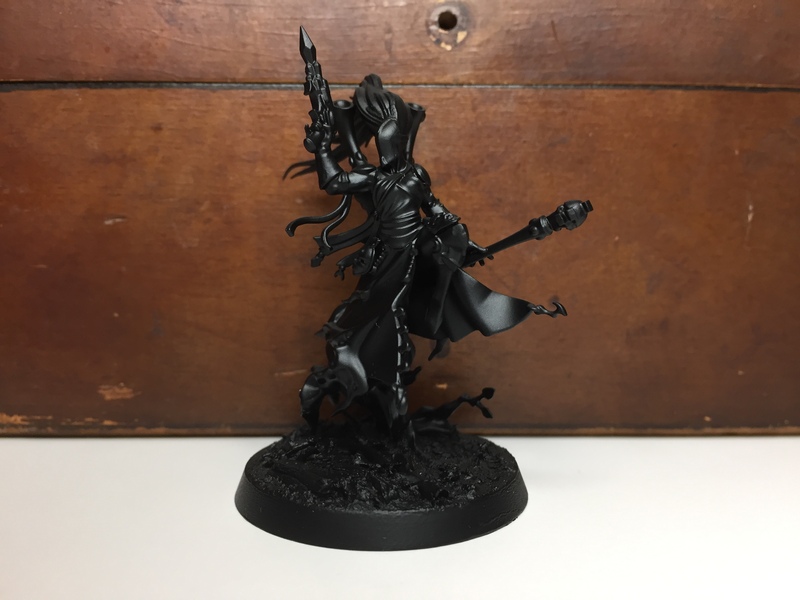 The shadowseer is cool. Dynamic. How are the woods/forest/trees going? Can’t wait. I just received some 3D printed trees/stumps. They’re awesome! 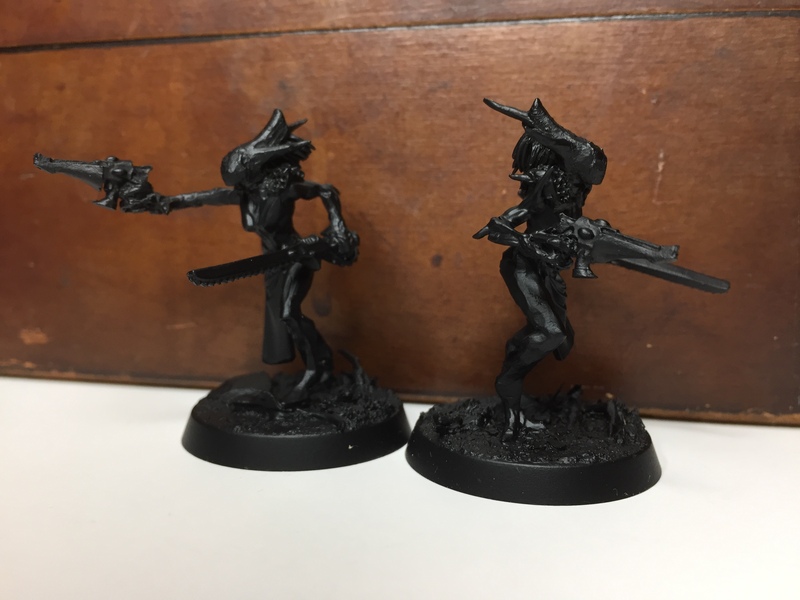 I can’t wait to paint them up. My best mates name is “Warren” by the way hahaha. Bunnies? Bunnies!? It must be the BUNNIES! Your Warband is shaping up nicely I must say. 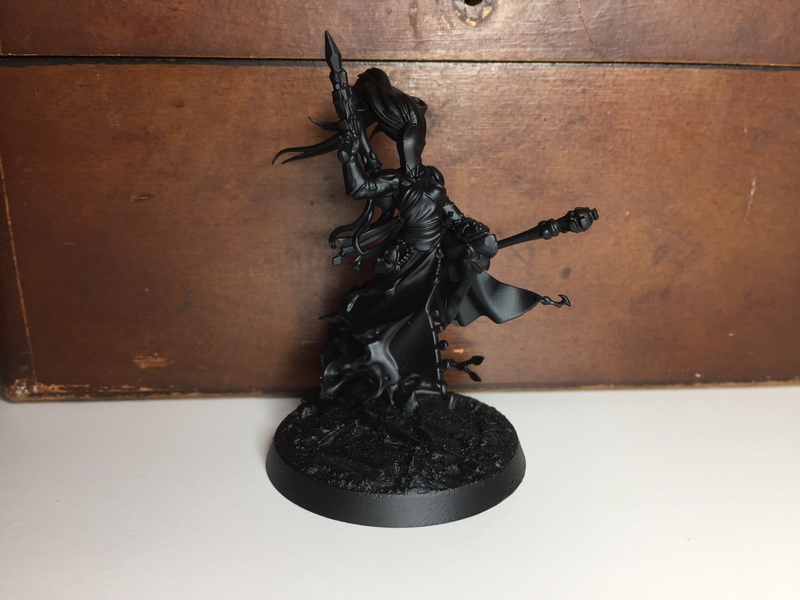 The new Shadowseer is most excellent. lol – Anya’s the best :-) Thanks mate, she is rather spiffy isn’t she? 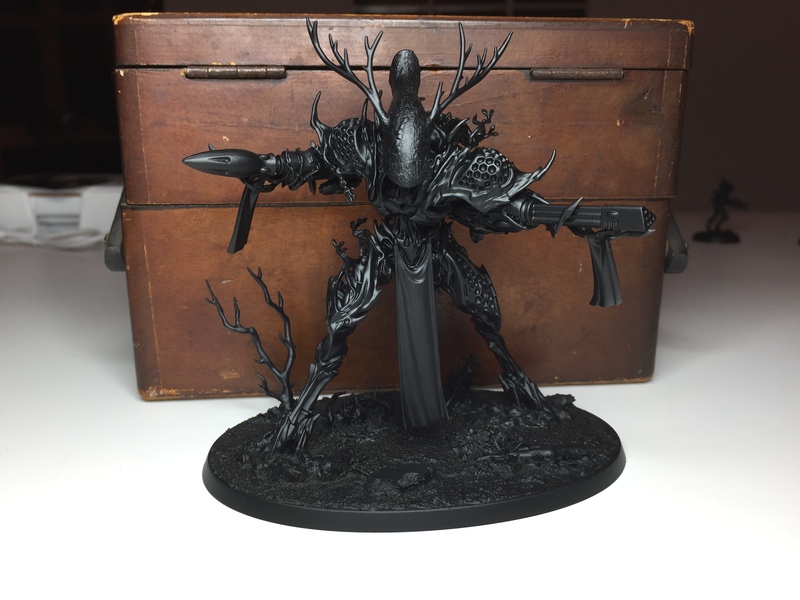 Can’t wait to get them painted! All the figures are excellent, and I am really looking forward to seeing them finished. The scorpions in particular really have the needed look now, and should be excellent in the completed collection. Thanks for all the feedback mate, you’ve come up with some real gems on this project. 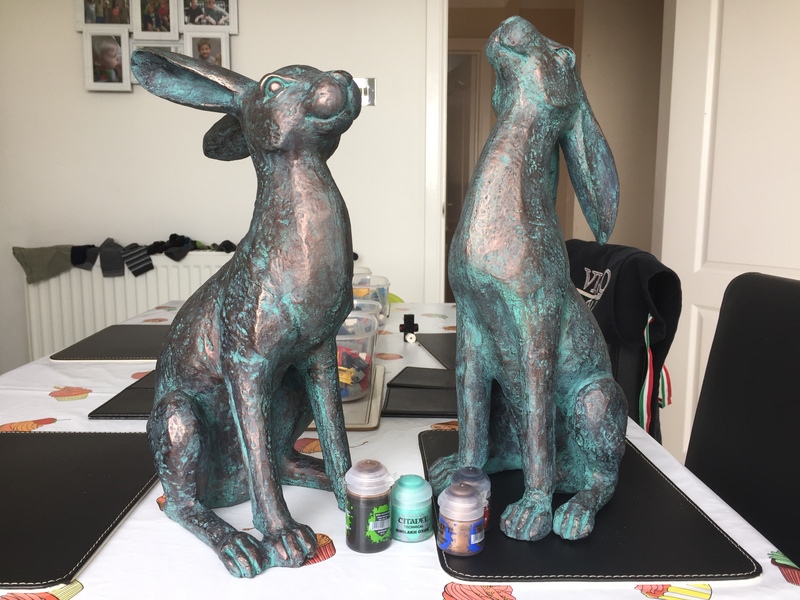 Thanks Suber and yeah, the hares were pretty good fun – it was nice to be useful! Hell yeah! Looking good my friend. Your concept is brillant and well executed. You should be proud :) Now get painting!! Add a howdah and some halflings and those bunnies would be cool. 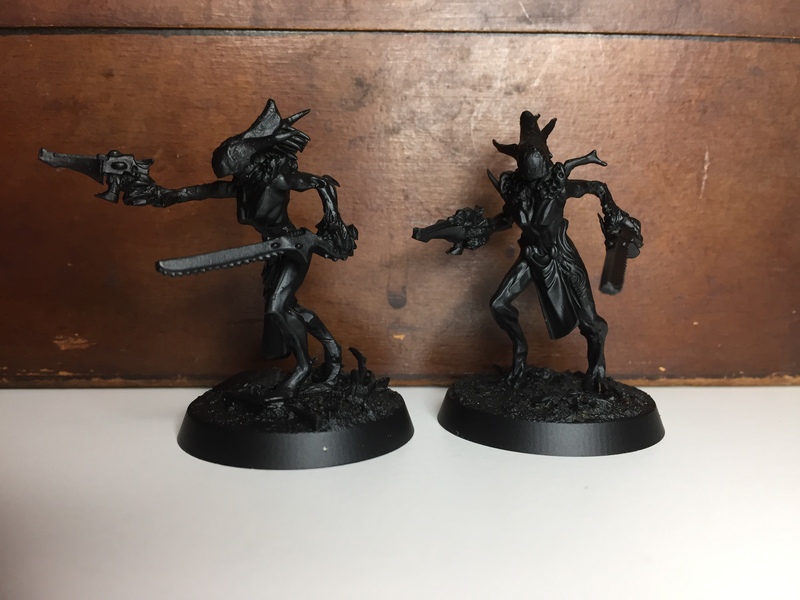 The Scorpion builds have come together extremely well, though that Wraithlord and the Shadowseer really take the cake. That’s great looking stuff! My favourite of these is Drycha, it works very well!